Keita Higuchi is a Ph.D. candidate in the Graduate School of Interdisciplinary Information Studies at the University of Tokyo. He was a Research Fellow at the Japan Society for the Promotion of Science. He received his B.A. degree in Kanazawa Institute of Technology and M.S. degree in the University of Tokyo. His recent work specializes in immersive telepresence, human-UAV interaction, and augmented embodiment. 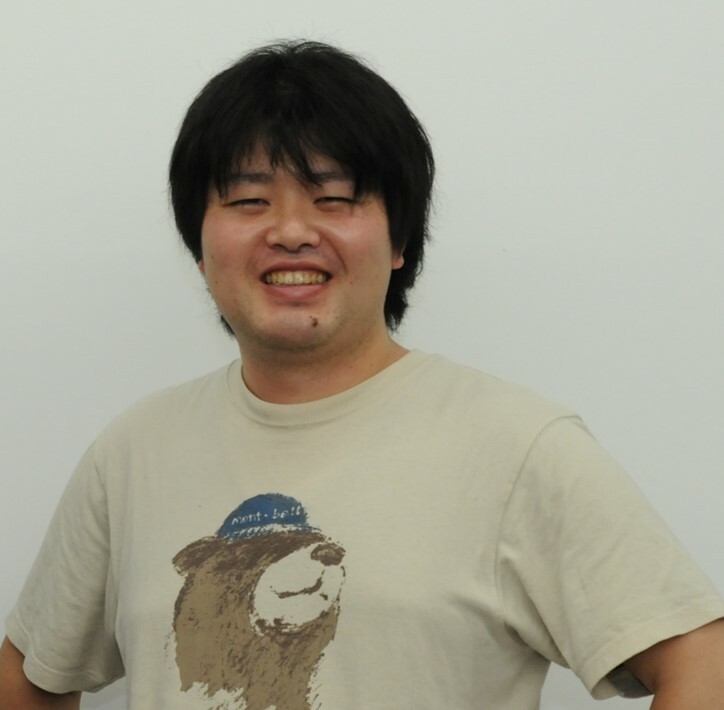 He is working as the Rekimoto Lab at The University of Tokyo with Prof. Jun Rekimoto on the Flying Head project, which won a Emerging Technologies Prize at ACM Siggraph Asia 2012. ・Immersive Telepresence, Augmented Human, Autonomous Aerial Vehicle, Video Content Creation System, Augmented Reality, Telexistence, Computer Vision. Kei Nitta, Keita Higuchi, Jun Rekimoto, HoverBall : Augmented Sports with a Flying Ball, The 5th International conference on Augmented Human, March 7-9, 2014. Katsuya Fujii, Keita Higuchi, Jun Rekimoto Endless Flyer: A Continuous Flying Drone with Automatic Battery Replacement，The 10th IEEE International Conference on Ubiquitous Intelligence and Computing (UIC 2013)，December 18-20, 2013, Vietri sul Mare, Italy. Keita Higuchi, Katsuya Fujii, Jun Rekimoto Flying Head: A Head-Synchronization Mechanism for Flying Telepresence，The 23rd h IEEE International Conference on Artificial Reality and Telexistence (ICAT 2013)，December 11-13, 2013, Tokyo, Japan. 脇坂崇平，石黒祥生，上野道彦，樋口啓太, FAN Szu-Wen，泉秀幸，南澤孝太，杉浦裕太，稲見昌彦，藤井直敬, 第２世代・代替現実（SR）システム, 第17回VR学会 (2012.9). 山野真吾，樋口啓太, 鷹合大輔, 楽曲への方向情報付加によるモバイルナビゲーション, 北陸支部電気関係学会 (2011.9). 樋口啓太, 原隆一郎, webcam による Spatial Co-operative Interface の実現, 北陸支部電気関係学会 (2009.9). Programming Environments: Emacs+bash, Visual Studio, Processing, Ardiono, Ecipse, Xcode. SDKs and Toolkits: Kinect SDK, OpenGL, OpenCV, ARToolkit. Keita Higuchi, Out-of-Body Vision: Extrabody Video Contents Creation Using Autonomous Aerial Vehicles, IPA Exploratory IT Human Resources Project 2010 (The MITOH Program 2010). Morpho, Inc. R&D (CTO Room). Laboratory for Adaptive Intelligence, RIKEN.